The shares of Sphera Franchise Group, one of the most important foodservice operators in Romania, start trading today on Bucharest Stock Exchange (BVB), under SFG symbol. The company, which manages restaurants under the KFC, Pizza Hut and Taco Bell brands, becomes the first listed foodservice operator on BVB. “The listing of Sphera Franchise Group on Bucharest Stock Exchange is an important and memorable milestone for our business. We are pleased to join the roster of important companies trading on this exchange and proud that we are the first brand from the foodservice sector to list in Romania. Investors can now have exposure to some of the world’s most iconic brands in KFC, Pizza Hut and Taco Bell through Sphera Franchise Group. For Sphera, it is a new stage in its development and we have high ambitions, our plan being to exceed 240 restaurants by the end of 2022. We would like to thank all those who have made this moment possible and we are looking forward to our future as a public listed entity,” said Mark Hilton, CEO of SFG. “We have trust that the presence of Sphera Franchise Group on Bucharest Stock Exchange will grow investors’ appetite for new transactions and it will be a confirmation for the companies that they can develop their business successfully through the Romanian stock exchange, which can absorb significant transactions. It is the largest listing of equities on BVB from the second half this year and the fifth listing from the last 12 months,” stated Lucian Anghel, President of BVB. The final offer price for the 9.83 million shares issued by Sphera within the secondary initial public offer was set at RON 29 per share. At this price, the value of the offer exceeded RON 285 million (equivalent to EUR 62 million). Under the offer, 9.34 million shares, or 95% of the total, were allotted to institutional investors and less than 0.5 million shares, equivalent to 5%, to retail. “The Bucharest Stock Exchange has significantly expanded its representativeness this year. New companies from different fields are now present in the stock market. It is the fifth listing of the last 12 months, and one can notice that listing on the stock exchange is no longer a sporadic phenomenon in the Romanian capital market. We are operationally and technically ready to accommodate more listings and we are continually working on improving our services,” said Alin Barbu, interim General Manager of BVB. Intermediaries of the offer were Wood & Company as Sole Global Coordinator and Joint Bookrunner, while Raiffeisen Bank and Alpha Finance Romania acted as Joint Bookrunner and Co-Lead Manager respectively. 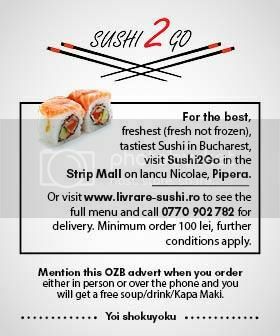 Sphera Franchise Group is the company that owns the right to manage restaurants under the KFC brand in Romania, Republic of Moldova and in some regions of Northern Italy, operates restaurants under the brand Pizza Hut and Taco Bell in Romania and owns the Pizza Hut Delivery service locally. The company recorded a turnover of RON 514.5 million last year, 26.8% more than in 2015 and made a net profit of RON 51.6 million or 9.2% more than the previous year.